!OUTSTANDING SOUGHT AFTER GATED FIND! This large custom one owner 3 bedroom, 2 bath home on a quiet cul-de-sac is going to impress. As you enter this large home you can feel all the love and care that has gone into designing the layout and maintaining this beautiful home. You will immediately notice how bright and airy this home is with all the different high ceiling elevations, large rooms and beautiful flooring that creates a classy grand look. Home is designed perfectly with an open, split floor plan, huge master bedroom with his and hers walk-in closets, large master bath that includes an oversized soaking tub and separate big walk in shower. Perfect Florida room will beg you to come and relax in comfort, overlooking your pristine private back yard. Every detail has gone into the kitchen planning including a bright kitchen nook, large pantry, chef friendly design and desirable gas cooking, under cabinet lighting all with a large open feel and tons of cabinets. Come see this immaculately kept home inside and out. You won’t find a speck of dirt inside or blade of grass out of place outside. 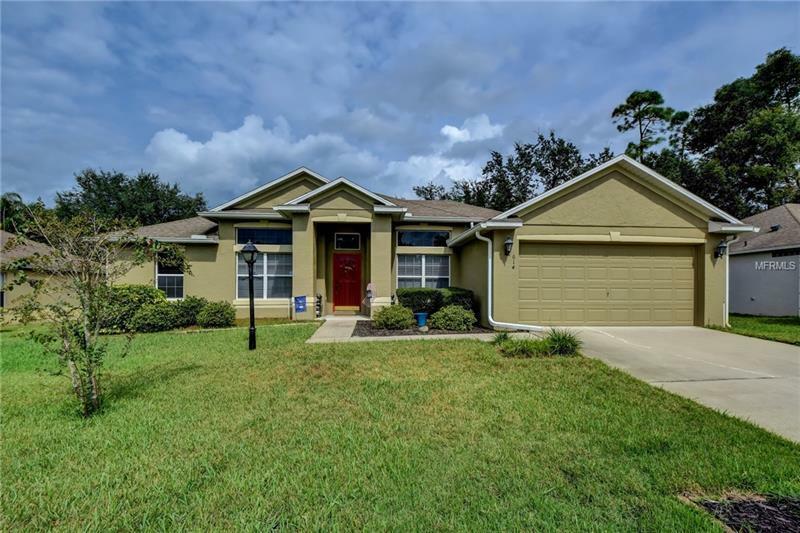 Come and feel the pride and relaxed atmosphere of beautiful, outstanding, PRIVATE, Twin Lakes of Deltona subdivision!